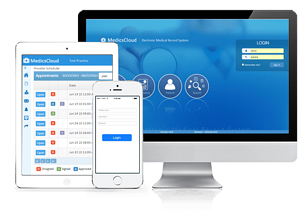 The Medics Suite for Pain Management is a secure browser-based, mobile-friendly, integrated EHR and PM suite keeping you connected, and setting you free at the same time. Patient engagement-friendly with the secure MedicsPortal and MedicsKiosk making your Pain Management practice bi-directionally accessible to patients 24 x 7 x 365 while creating amazing eﬃciencies in terms of requesting appointments, completing “paperwork” online, and mor Patients use the portal in advance of their arrival, and kiosk once they’re in the waiting room. Integrations with a variety of diagnostic equipment such as the GE C-Arm™. Digital Imaging: The ability to store the patient’s images directly as part of their Pain Management record for easy viewing and retrieval. Images can be notated on through the system’s built-in handwriting capability. Imaging can be obtained via an interface with your PACS, if applicable. Revolutionizing transcription with its built-in Medics FlowText™ making the EHR click-free and voice navigable. And working with Dragon Medical™, Medics FlowText intelligently data-populates the correct ﬁelds in the patient’s record as the report is being transcribed. This voice-to-text-to-data-entry capability allows the transcriber to complete the report - and have the data entered - in one pass! additional, related pain management specialties such as physical therapy, neurology, etc. Clients have transparent, unfettered access to the systems, to the extent they want!